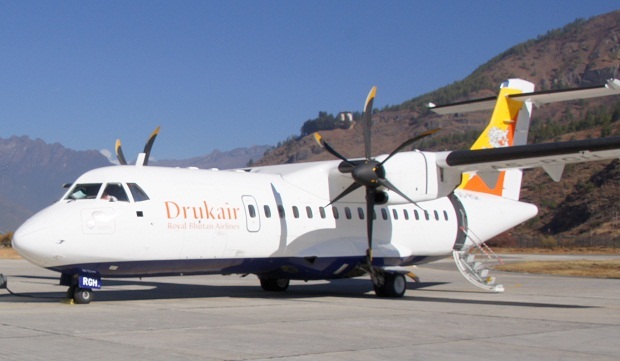 In another embarrassment, Drukair, the flag carrier of the Kingdom of Bhutan grounded its aircraft ATR42-500 until January 28 two weeks after resuming its domestic operations, a Kuensel report stated. Earlier, flights to three domestic airports were suspended since January 22 following a technical issue with one of the engines of the aircraft. Officials of the Royal Bhutan Airlines said, according to the report that unlike the last technical glitch where the temperature of one of the engines was found to be higher than the other, the problem this time, is because of a component that was installed on the engine. The officials further added the replacement parts are due following which the change of the engine is scheduled on January 27 and 28. Domestic operation is expected to resume from January 29, according to the report. Since December 29 last year until January 28, the grounding of the ATR has resulted in the cancellation of 20 domestic and six international flights (four flights to/from Dhaka and two flights to/from Kathmandu). The airline is refunding affected passengers. Meanwhile, Drukair is exploring measures to lease an ATR 42-600 or a relatively new ATR 42-500 at the earliest, stated the report. Drukair has also approached the government for financing the purchase of a new ATR 42-600 and the airline is awaiting a response from the government. Based on the response, Drukair Board will take a decision regarding purchase of a new ATR 42-600 and sale of the aging ATR 42-500, the report added.